Repairing or Replacing an Air Conditioner: Which Option is Best for You? 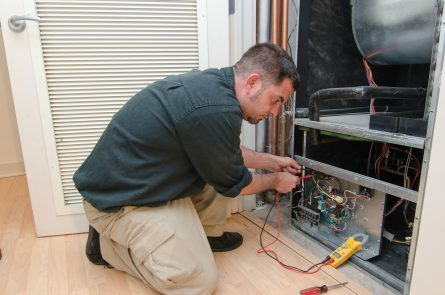 If you aren’t sure whether you should have your central air conditioner repaired or replaced, then you might find yourself spending unnecessary money if you make the wrong choice. There are circumstances in which it is best to have your unit repaired, but there are also some telltale signs that it is time to replace it with a newer model. Repairing a unit that is still under warranty. 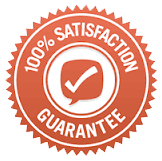 After all, in this case, it isn’t likely that you will have to pay for anything at all and you can rest assured that the repairs will be performed by someone who is well-versed in that particular manufacturer’s offerings. Repairing a unit that would be too costly to replace. There is a formula that you can use to make such a determination. First, determine how much it would cost to replace your unit. Then, determine the cost of the repair. If the fix will cost you more than 50% of the cost of a brand new air conditioner, then consider a replacement. Otherwise, go with the repair. Repairing an air conditioner that only needs a quick fix. Sometimes, even if the worst happens and you aren’t getting any cool air at all, the cost involved in fixing the unit is negligible compared to the cost of buying a brand new one. When a more efficient air conditioner model will save you money in the long run. If your unit is more than 10 years old and costing you a fortune in energy, then it’s time to consider upgrading. You’ll enjoy a considerable return on the investment over time. When the cost of the A/C repairs is more than half of the cost of a new air conditioner. In this case, buying a newer model is a no-brainer. If you still aren’t convinced, consider the fact that outdated air conditioners often need frequent repairs and parts must be replaced. Over time, this adds up – and a new unit may actually save you some money when it comes to the purchase of the parts and the labor required to replace them. When your current A/C unit just isn’t getting the job done. In some cases, it may be that the air conditioner in your home or business is simply too small to cool your building efficiently. No matter what you do or how many repairs you pay for, there isn’t anything you can do to improve its efficiency. At this point, it is best to consider an upgrade. Overall, deciding whether you should repair or replace an air conditioner doesn’t have to be a difficult decision. With the right information, you can determine this for yourself and save some serious money in the long run. If you have any questions, please call our office. 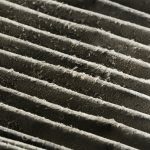 We’re happy to have an experienced AC technician help determine the best option for your situation. 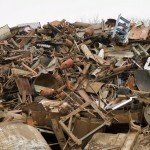 Scrapping an Old Central Air Conditioner: Is It Worth the Time?